In his posting, Gerben suggests a succession of improvements (depicted below). What happened to the architectural principles of simplicity and elegance? Aren’t the following series of enterprise architecture maps more informative and more understandable? …more pragmatically useful? 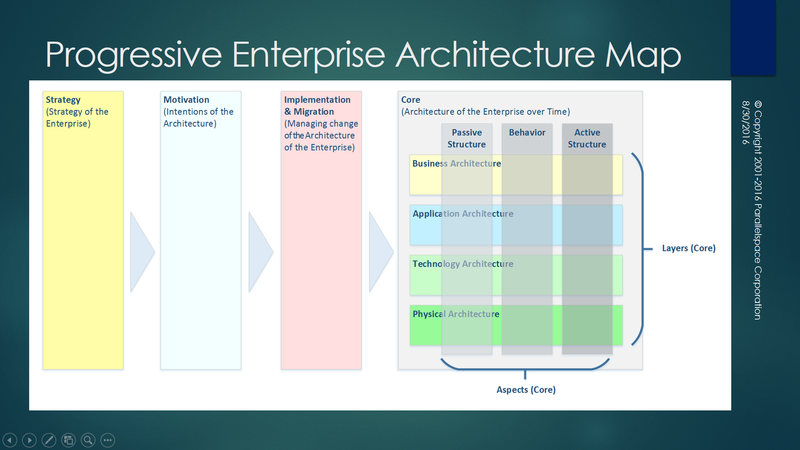 I refer to the version below as the Progressive Enterprise Architecture Map. Check them out for yourself and please add your feedback in the Comments section below. Click on any diagram to see a larger version. p.s. If the arrows make the enterprise architecture map too prescriptive from a pure ArchiMate specification perspective, what do you think of this version?